TenTrix is easy to play and pleasurable game for all age. 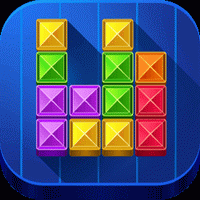 Simply Drag the blocks, and fill up all grids.From now on, let's enjoy a simple and addictive puzzle game! Once you start, you'll be hooked.